If that's appealing, you're in luck. There are flight deals from around the US right now. Some flights are with WOW Air, a budget airline. However, many are with Icelandair, which won't hit you with a parade of unavoidable fees. Also, Icelandair allows free stopovers. That means you could stay a couple nights in Iceland and then head somewhere like Paris or London for a couple days at no additional charge. 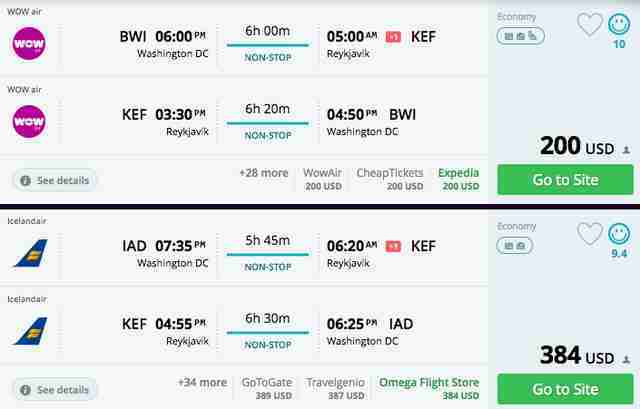 Through WOW, you can get to Reykjavik for $200 out of Washington DC, $208 out of Boston, $266 out of Toronto, or $336 out of New York. If you prefer to fly with Icelandair, it'll run just $384 out of Chicago, New York, Boston, or Washington DC. Other cities with fares below seasonal averages include Toronto ($314), Minneapolis ($434), Seattle ($484), Denver ($484), and Edmonton ($478). While the difference between the two airlines is significant flying out of Washington DC, don't get tricked by the initially low price of a budget airline. 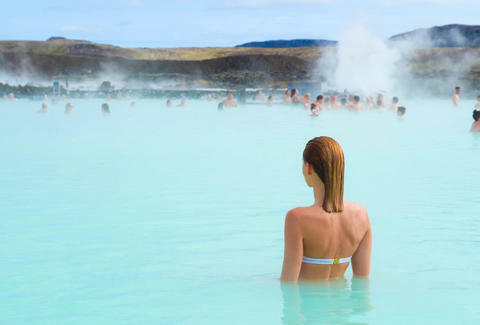 If you're flying out of New York, it may look cheaper to fly with WOW, but once you include bags and a seat reservation you're likely to save money paying more up front with Icelandair. To get the best price, find low fares using the Google Flights search tool. Then take that date and drop it into the Momondo search engine. You're likely to shave anywhere from $5 to $60 off the initial price using Momondo. Then, boom! You're on your way to hot dogs on the shore and all the rotten shark meat you can handle.